When I wake up in the morning I often don't feel like eating slices of bread. I'm just not ready for that kind of food yet! But because breakfast is an important meal that you should definitely consume I try to come up with different ideas on what to eat on those mornings. Try to vary in your breakfast choice as much as you can! This will give your body a better chance on getting all the nutrients it longs for. There are tons of different options out there. And honestly, when I start the day with something really delicious... I start that day well! Okay it's time for some vitamins. And obviously, it is quite convenient to have a blender at home. If you don't have one you can use your stand or hand mixer. For my smoothie I used frozen raspberries because they are much cheaper than the ones that aren't frozen (and they are just as healthy.) Frozen fruits are quite hard so I advise you to not use frozen fruits unless you have a glass blender jar. The plastic ones are easily damaged. 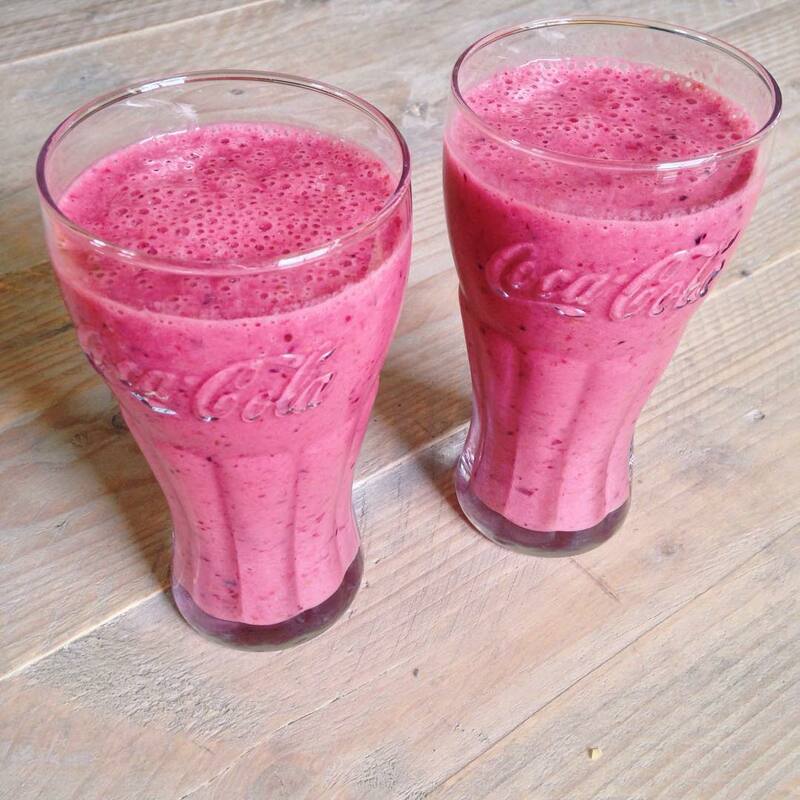 The faster you serve/drink your smoothie, the better because they don't keep well. To me personally, this smoothie is perfectly yummmy like this. A friend of mine however, feels that yoghurt based smoothies always lean on the sourish side. If you agree with her, I'd recommend you add a tiny bit of honey to make it sweeter. Don't you start pouring sugar now! Explore with your food and have fun!